The HTC U Ultra and U Play are absolutely gorgeous. glass HTC U Ultra uses a second screen and AI to annoy you less. HTC U Ultra and U Play Price in Sri Lanka. 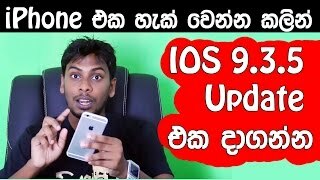 Review Unboxing Handson in Sinhala. Hardware specs 5.7-inch screen (2,560x1,440-pixel resolution) 2-inch notifications screen (swipable) 12-megapixel UltraPixel camera with OIS 16-megapixel front-facing camera 2.15GHz quad-core Qualcomm Snapdragon 821 processor Android 7.0 software MicroSD card up to 2T USB-C port Fingerprint reader with NFC 64GB, 128GB options with 4GB RAM 128GB version comes with sapphire crystal screen HTC BoomSound Hi-Fi audio Dual-SIM optional Colors: Ice white, sapphire blue, cosmetic pink, brilliant black.